Neglected mold problems will only grow to be worse with time. The nature of mold allows it to contaminate virtually anything, given the right conditions. If mold has developed and is ignored, the contamination will spread to unaffected areas. As the contamination spreads, removal becomes more involved and costlier. That is why we always recommend immediate attention when it comes to mold development. If you detect sign of a mold contamination in your Bass River, NJ home or business, you need to consider calling a reputable mold removal professional in NJ to properly address the mold in a timely manner. Mold is a bio-contaminant that should, in most cases, be addressed by a professional that has the necessary training, knowledge, and tools to properly diagnose the problem and effectively remedy the problem. If you are concerned about potential mold development in your home or business, you should hire a certified mold professional to conduct a mold inspection in Bass River, NJ. A MasterTech mold inspection will determine if a mold problem exists, how bad the problem is, and how to go about fixing the problem. Your MasterTech mold inspector will carefully draft a game plan to address your specific mold needs. When it comes to mold, the first priority will always be you and your family’s well-being. That is why our mold remediation process integrates the safest, most effective, and most advanced tools and techniques. At MasterTech we are committed to providing the highest quality mold service possible. At the core of mold removal in Bass River, NJ there are 3 defining steps. Causation: To properly complete a mold remediation, our technicians and inspectors must determine and address the moisture source that is stimulating the mold development in the first place. Initially, your MasterTech inspector will complete an investigation of all affected areas and all the surrounding areas. To avoid cross contamination to unaffected areas, we use moisture meters and thermal imaging cameras to analyze the pattern of water damage and determine where it begins and ends. In cases where the property has experienced significant water intrusion, MasterTech may need to complete a full Bass River, NJ water damage restoration prior to or as part of the mold remediation. Containment: It is important to isolate all contaminated areas from the unaffected areas. If the mold contamination is not properly contained, mold spores can travel and spread to clean, unaffected building materials. Properly placed containment barriers around all work areas and areas of concern will prevent cross-contamination. Once the containment barriers are in place, we will be able to take a closer look at what is promoting the mold growth and confirm the moisture source. With this information, our technicians will be able to provide additional insight on preventative measures to avoid mold in the future. Cleaning & Disposal: Often times, mold can be safely removed from most surfaces without the use of toxic agents. However, in some, more aggressive, mold cases, contaminated building materials may be non-salvageable and will require safe removal and appropriate disposal. MasterTech technicians are trained in the most advanced techniques for the safest, most effective, and most efficient removal and disposal of moldy materials. For quality control, MasterTech always conduct a post-remediation inspection with testing. This is a precautionary step to confirm that we did not miss or overlook any details and that the job was done right. Each MasterTech mold remediation in Bass River, NJ is backed by a 5-year mold-free warranty. It is our promise to you and your family that the mold is gone, and it will not grow back. REMOVAL is the only safe and effective approach to resolving your Bass River, NJ mold problems. “Treatment” is just a quick, temporary fix. Sure, the mold may appear to be “gone,” but it will inevitably grow back. Be careful not to get mislead into believing that “treatment” will be sufficient enough to address your mold contamination. 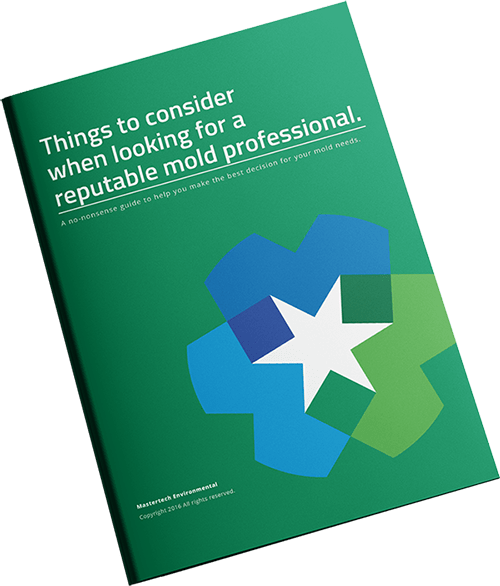 Unfortunately, all too often, mold “professionals” claim that they can “treat” the mold with one application of this difficult-to-pronounce chemical or with one coat of this seemingly all-powerful paint. These tactics are temporary fixes that will only prolong the contamination and potentially worsen the mold development. At the end of the day, If your mold problem is not actively and properly removed, even if the mold grows dormant and seemingly “dead” or “gone”, the mold will be back. So take the time to do your research. Do not be shy about asking a lot of questions. A reputable professional will be happy to answer all your questions and establish some realistic expectations. New Jersey mold contamination should be addressed promptly by a reputable professional. If you think you might have a mold problem on your hands, call MasterTech today to schedule a mold inspection in Burlington County, NJ. For mold inspection and mold removal in Delran, NJ or mold inspection and mold removal in Medford, NJ, a member of the MasterTech Team can help.